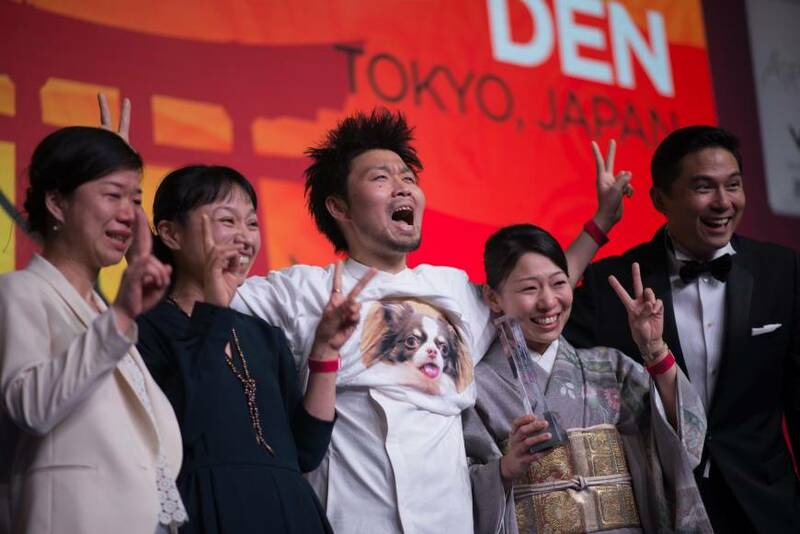 BANGKOK - On the evening of Feb. 21, chefs from nine of Japan’s top restaurants ascended the stage to receive honors at the fifth Asia’s 50 Best Restaurants awards ceremony in Bangkok. Although the No. 1 slot went to the Bangkok-based restaurant Gaggan for the third year in a row, the night was also a success for Japan, which had six restaurants in the top 20 — more than any other country. 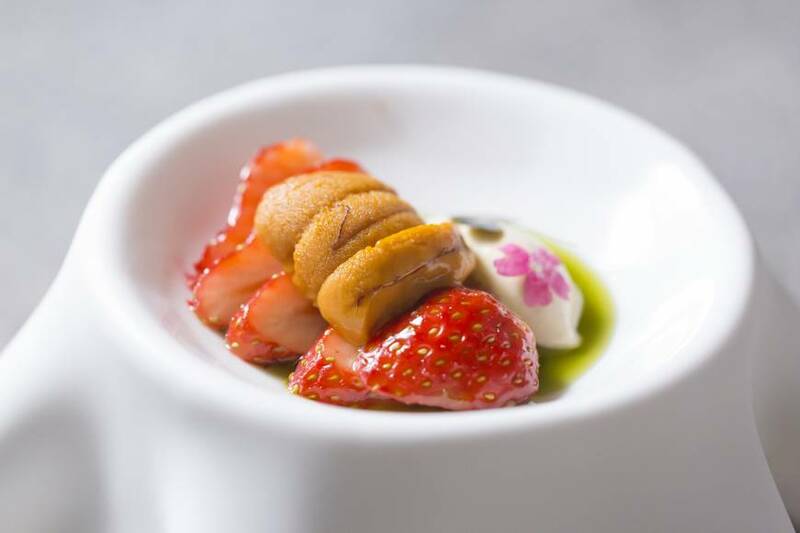 Once again, Tokyo’s Narisawa scooped up the title of Best Restaurant in Japan, while Kazutoshi Narita, of the Tokyo restaurant Esquisse, was named Asia’s Best Pastry Chef. 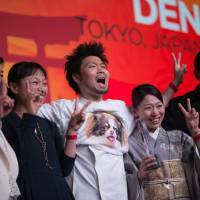 Den, which moved from its original location in the Japanese capital’s Jimbocho district to the Gaienmae neighborhood in December, picked up a newly introduced award for the Art of Hospitality. Japan has made a consistently strong showing ever since the first iteration of Asia’s 50 Best, a regional offshoot of the closely watched World’s 50 Best Restaurant awards. As the popularity of the 50 Best franchise has grown, the program has expanded to include the 50 Best Discovery Series, which highlights notable eateries that are not currently on any of the lists. Two Tokyo restaurants, Bulgari Il Ristorante Luca Fantin and Tirpse, were featured among this year’s recommended dining destinations. Although 12 Japanese restaurants were recognized at the awards ceremony and as part of the Discovery Series this year, some critics are dissatisfied with the results. The number of entries from Japan has remained stagnant for the past few years, while the highest-ranked establishments, Narisawa (No. 6) and Ryugin (No. 7), dropped out of the top five for the first time. “Just considering the number of Michelin-starred restaurants as one indication, it is obvious that Japan is grossly under-represented in the list,” says globe-trotting food enthusiast Takefumi Hamada, citing Japan’s relatively far distance from voters on the Indian subcontinent and Southeast Asian countries as a possible reason. Gaggan Anand — who recently announced plans to open an outpost in Japan by 2020 — incorporates Japanese flavors and aesthetics into his menu of contemporary Indian cuisine. The country’s influence is also evident at restaurants such as Hong Kong’s Amber (No. 3), which uses fresh seafood and produce shipped daily from Japan. At The Dining Room at The House on Sathorn (No. 36) in Bangkok, chef Fatih Tutak uses the techniques he gleaned while training at Tokyo’s Ryugin to create genre-confounding modernist cuisine with a Turkish twist. Despite the list’s perceived shortcomings, Florence notes that the awards have raised the standards for fine-dining establishments in Asia — particularly in countries such as Singapore and Thailand, where the food culture is more commonly associated with inexpensive hawker fare. Moreover, Asia’s 50 Best has helped establish gourmet destinations beyond the already popular culinary powerhouses of Tokyo and Hong Kong — effecting a welcome boost in gastrotourism across the region. “The list is bringing attention to places like Cambodia, Vietnam, the Philippines and Bali. It gets people interested in going there to eat and spend money, and that’s a good thing,” Florence says. For more information, visit www.theworlds50best.com/asia/en. Following the ceremony of the Asia’s 50 Best Restaurants awards on Feb. 21 in Bangkok, the after-party shows no sign of waning at 2 a.m.
A heaving jumble of bodies clogs the pathway in front of Gaggan Anand’s eponymous restaurant, which has been named the Best Restaurant in Asia for the third straight year. At the center of the chaos, Anand stands atop a table with Zaiyu Hasegawa, of the Tokyo restaurant Den, and raises a toast to the mutual admiration between the food cultures of Thailand and Japan. In the days leading up to the ceremony, Anand and Hasegawa had teamed up for a series of four-hands dinners in Gaggan’s “lab,” the restaurant’s high-tech test kitchen. The event kicked off a week of surprising culinary exchanges between Tokyo- and Bangkok-based chefs. Hiroyasu Kawate of Florilege brought his Japanese-inflected French cuisine to the kitchen of Suhring, the innovative modern German restaurant run by twin brothers Mathias and Thomas Suhring. Last Friday, the cross-cultural collaborations culminated in the pairing of contemporary Italian cuisine with traditional Thai cooking, when Bulgari Il Ristorante’s Luca Fantin joined forces with Duangporn “Bo” Songvisava and Dylan Jones at Bo.lan. Rather than merely replicating their signature dishes, the chefs from Japan paid homage to their hosts. Hasegawa crafted a version of his garden salad inspired by som tum (green papaya salad) — made with local fruits such as green mango, longan, and rose apple — and cooked alongside Anand to create an Indian-spiced crab curry with Siam ruby corn mazegohan (rice pilaf). Kawate garnished sea bream with pak kayaeng (a peppery Thai water plant) and turnip puree enriched with beer — a nod to the Suhrings’ German heritage. Fantin prepared saffron risotto in a wok and flavored grilled duck breast with Thai seasonings to go with Bo.lan’s larb, a spicy salad of minced meat and toasted rice spiked with chili and herbs.